50-State Comparison: State Kindergarten-Through-Third-Grade Policies (2018), Education Commission of the States: Denver, CO. High-quality, early elementary years offer a critical opportunity for development and academic learning for all children. Key components of a quality, K-3 experience include kindergarten, qualified teachers, seamless transitions, appropriate assessments and interventions, family engagement, social-emotional supports and academic supports. This report from the Education Commission of the States researched the policies that guide these key components in all 50 states. The report provides a window into the myriad state policies created to support students through the critical early years of education. Kaplan, M. and Mead, S. The Best Teachers for Our Littlest Learners? Lessons from Head Start's Last Decade. (2017) Bellwether Education Partners: Washington, D.C. This paper traces the evolution of Head Start Workforce policies over 50 years and detail how shifts in the broader early childhood landscape, especially state-funded pre-k programs, have influenced these policies. Based on this analysis, the authors make five recommendations: (1) Provide equitable compensation and benefits to Head Start teachers; (2) Include Head Start in state initiatives to build the early childhood workforce; (3) Develop systemic approaches to improve preparation for early childhood teachers; (4) Continue to support high-quality, ongoing, job-embedded professional development for Head Start teachers; and (5) Make Head Start a vehicle for promoting innovation in early childhood teacher preparation, support, and development. Pomerance, L., Greenberg, J., and Walsh, K. (January 2016). Learning About Learning: What Every New Teacher Needs to Know. Washingtobn, D.C.: National Council on Teacher Quality. This report asserts that textbook publishers and authors are failing the teaching profession, students and the public by neglecting to provide our next generation of teachers with the fundamental knowledge they need to make learning “stick.” The report finds that out of 48 texts used in teacher-training programs, none accurately described fundamental evidence-based teaching strategies comprehensively. Only 15 percent had more than a single page devoted to evidence-based practices; the remainder contained either zero or only a few sentences on methods that have been backed up by the decades of scientific findings that exist in the field of educational psychology. Herzfeldt-Kamprath, R. and Ullrich, R. (January 2016). Examining Teacher Effectiveness Between Preschool and Third Grade. Washington, D.C.: Center for American Progress. This report examines the consistency of children’s access to effective teachers between preschool and third grade—as well as how that access differs by a child’s race/ethnicity and socio-economic status — within three broad factors of teacher effectiveness: qualifications, attitudes, and environment. The analyses presented utilize two nationally representative data sets: the Early Childhood Longitudinal Study, Birth Cohort, or ECLS-B, and the Early Childhood Longitudinal Study, Kindergarten Class of 2010-11, or ECLS-K: 2011. 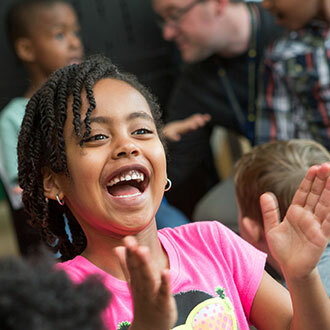 Results support that the factors that contribute to effective teaching are inherently interconnected and typically accessed at lower rates by African American and Hispanic children, as well as children from low-income households. Furthermore, access to effective teachers varies between the prekindergarten year and the kindergarten through third, or K-3, grades because the standards, expectations, and supports for teachers are different for these two systems. The authors offer policy suggestions to improve Prer-K to Grade 3 alignment and access to quality teachers. The central tenet of the white paper is that classroom literacy instruction should be grounded in rigorous, peer-reviewed research — not politics, ideology, or speculation. Rather than settling on a specific reform strategy, the white paper offers frameworks for use in drafting or evaluating reform proposals. The frameworks address four key education sectors: literacy learning and teachers; schools and schooling; student support; and families and communities. For each sector, the white paper offers a list of research-validated approaches to literacy advancement, which is designed to function as a rubric to inform, refine, and assess reform proposals. In addition, each framework includes a detailed list of supporting sources to facilitate exploration into the underlying research base. Barksdale Reading Institute (March 2015). 2014-15 Study of Mississippi Teacher Preparation for Early Literacy Instruction. Oxford, MS: Barksdale Reading Institute and The Institutions of Higher Learning. The study led to nine key findings, including an improved level of emphasis on the five essential components of reading: phonemic awareness, phonics, fluency, vocabulary, and comprehension. The study also highlights a serious gap in the understanding and application of evidence-based practices for early reading instruction both in teacher preparation and in K-3 field experiences. The report culminated in several major recommendations: (1) Adopt research-based practices at every level of reading education (specifically those practices endorsed by the National Reading Panel); (2) Improve P-20 educator knowledge and communications to better inform policy; (3) Repurpose the state’s Reading Panel to include educators and literacy experts from all levels of the system to oversee the credentialing of undergraduate instructors assigned to teach early literacy courses. Children are already learning at birth, and they develop and learn at a rapid pace in their early years. This provides a critical foundation for lifelong progress, and the adults who provide for the care and education of young children bear a great responsibility for these children’s health, development, and learning. The Institute of Medicine (IOM) and National Research Council (NRC) were commissioned to explore the implications of the science of child development for the professionals who work with children birth through age 8. In this report, the committee finds that much is known about what professionals who pro­vide care and education for children need to know and be able to do and what professional learning supports they need. However, that knowledge is not fully reflected in the current capacities and practices of the workforce, the settings in which they work, the policies and infrastructure that set qualifications and provide professional learning, and the government and other funders who support and oversee these systems. The report offers recommendations to build a workforce that is unified by the foundation of the science of child development and early learning and the shared knowledge and competencies that are needed to provide consistent, high-quality support for the development and early learning of children from birth through age 8.
International Literacy Association. (2015) The Multiple Roles of School-Based Specialized Literacy Professionals (Research Brief). Newark, DE: International Literacy Association. This research brief identifies three distinct roles for school-based specialized literacy professionals: reading/literacy specialists, literacy coaches, and literacy coordinators/supervisors. While responsibilities often overlap across these roles, there are specific distinctions in terms of the primary emphasis and professional qualifications required to be effective in each role. The brief provides school administrators with guidance on how to define the role of each specialty and to clarify what type of literacy professional their schools may need to hire. The descriptions aim to help those hiring literacy professionals to better understand what skill set is required and which qualifications to look for in the hiring process. Further, the new definitions will support college and university teaching programs in developing curricula to better prepare teachers for these specific literacy positions. Johnson, L., Adams Becker, S., Cummins, M., Estrada V., Freeman, A., and Ludgate, H. (2013). NMC Horizon Report: 2013 K-12 Edition. Austin, Texas: The New Media Consortium. The New Media Consortium collaborated with others to identify technologies that have "potential impact on teaching, learning and creative inquiry." In a 1-3 year time-to-adoption phase, here's what to expect: (1) BYOD (Bring Your Own Device) where students bring their own laptops, tablets or mobile devices to class; (2) Cloud Computing; (3) mobile learning, which relies more on cellular networks and wireless power; and (4) online learning, with movement towards MOOC classes. Looking into the distance (2-3 years), the Horizon Report predicts we'll be engaged in electronic publishing, using learning analytics, relying on open content and engaging in personalized learning. In 4-5 years, we will be looking at technologies such as 3D printing, augmented reality, virtual labs and wearable technology. Verhagen, C. (2012). Student center activities aligned to the Common Core State Standards in English language arts and literacy in history/social studies, science, and technical subjects K-5. Portsmouth, NH: RMC Research Corporation, Center on Instruction. The Center on Instruction released a publication to help educators create differentiated reading instruction experiences for their students by showing the relationship between two distinct resources: Student Center Activities (SCAs) created by the Florida Center for Reading Research for K-5 classroom teachers as differentiated reading activities for use in small student groups, and the Common Core State Standards (CCSS). It contains crosswalks that map the relationships between each SCA and corresponding, grade-specific standards in CCSS in English language arts and literacy in history/social studies, science, and technical subjects K-5 (ELA-literacy). These resources provide support in the alignment of instruction in schools that are implementing School Improvement Grants (SIG) and/or College and Career Ready Standards (including Common Core State Standards). Whitebook, M. & Ryan, S. 2011. Degrees in context: Asking the right questions about preparing skilled and effective teachers of young children. Preschool Policy Brief, 22. National Institute for Early Education Research, New Brunswick, NJ. A 2011 policy brief developed jointly by National Institute for Early Education Research (NIEER) and the Center for the Study of Child Care Employment (CSCCE) argues that there has been too much focus on debating baseline qualifications such as AA and BA degrees for teachers of young children and not enough focus on the actual education these teachers receive, the support they get for ongoing learning, and the effects of the workplace environment on their teaching practice. Guernsey, L., and Ochshorn, S. (2011). Watching Teachers Work: Using Observation Tools to Promote Effective Teaching in the Early Years and Early Grades. Washington, DC: New America Foundation. Identifying good teachers is a high priority in education reform, yet the debate rarely focuses on how education might improve if policies were based on teachers' individual interactions with their students. This report argues for improving early education up through the third grade (PreK-3rd) by actually watching teachers in action using innovative observation tools in combination with evaluation and training programs. The report also paints a picture of the dismal state of early education for many children — especially the disadvantaged — who are rarely given access to the kinds of stimulating, content-rich conversations that provide them with the cognitive and social-emotional skills they need to succeed throughout their years in school. Fuller, B, Gasko, J, Anguiano, R. (2010). Lifting Pre-K Quality: Caring and Effective Teachers. Children's Learning Institute. This report focuses on helping pre-K teachers develop skills that matter for early learning. The researchers identified mentoring and training for preschool teachers as important tools to help them enrich their instructional activities in classrooms and boost the early language and preliteracy skills of 3- and 4-year-olds. Darling-Hammond, L., Wei, R.C., Andree, A., Richardson, N., Orphanos, S. (2009). Professional Learning in the Learning Profession: A Status Report on Teacher Development in the United States and Abroad. Palo Alto, CA: School Redesign Network at Stanford University. Teachers' professional development is an important part of our educational system. We rely on professional development to help teachers learn about new strategies, philosophies, and interventions. But how is the best professional development structured? A new report from the School Redesign Network at Stanford University outlines the critical components of effective professional development. Preschool Curriculum: What's in It for Children and Teachers? 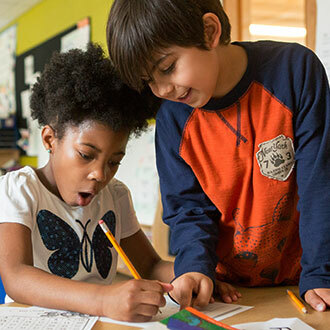 A new report from the Albert Shanker Institute outlines developmental accomplishments and instructional practices in four areas of preschool curriculum: oral language, literacy, mathematics, and science. Their recommendations can inform districts struggling to design a preschool program or provide guidelines for program evaluation. W. Steven Barnett (2008). Preschool Education and Its Lasting Effects: Research and Policy Implications. National Institute for Early Education Research Rutgers, The State University of New Jersey. All children benefit from preschool, and increasing the public's investment in effective preschool can have lasting educational, social, and economic benefits. Recommendations for capitalizing on these conclusions include using proven models, training preschool teachers, and working to increase the number of disadvantaged kids attending preschool. International Reading Association. (2007). Reading Well: A Synthesis of the International Reading Association's Research on Teacher Preparation for Reading Instruction. Newark, DE: Author. This report synthesizes the findings of research efforts focused on identifying essential qualities of effective teacher preparation programs for reading instruction. It finds that good teacher prep programs provide students with excellent instructional content; faculty and teaching; apprenticeships, field experiences, and practica; diversity; candidate and program assessment; and governance, resources, and vision. Walsh, K., Glaser, D., and Dunne Wilcox, D. (2006). What Education Schools Aren't Teaching About Reading and What Elementary Teachers Aren't Learning. National Council on Teacher Quality: Washington DC. When some children are learning to read, they catch on so quickly that it appears effortless. It does not seem to matter what reading curriculum or teachers they encounter, for they arrive at school already possessing the important foundational skills. For other children, though, the path to literacy is far more difficult and by no means assured. It matters very much what curriculum their schools use and who their first teachers are. American Federation of Teachers. (2004). Waiting Rarely Works: Late Bloomers Usually Just Wilt. American Educator: Washington, D.C.
Until about a decade ago, the idea of a child being a "late bloomer" was accepted among researchers and educators as a valid reason for a child learning at a slower pace than peers. It was thought that these children would eventually bloom in their reading, but that they would just do it a bit later than their peers. 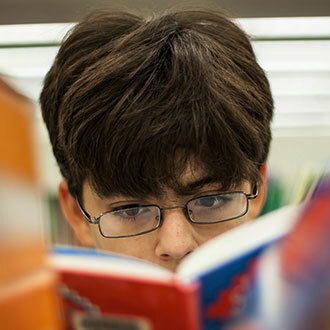 Known as the "developmental lag theory," it justified the common practice of delaying the diagnosis of reading problems until they were quite severe. But more recently, long after many teachers ended their formal education training, researchers have been able to put the developmental lag theory to rest. Rather than a lag, early reading weakness is now defined as a skill deficit. Stanovich, P. J. & Stanovich, K. E. (2003). Using research and reason in education: How teachers can use scientifically based research to make curricular & instructional decisions. Washington, DC: National Institute of Child Health and Human Development; Department of Education; and Department of Health and Human Services. As professionals, teachers can become more effective and powerful by developing the skills to recognize scientifically based practice and, when the evidence is not available, use some basic research concepts to draw conclusions on their own. This paper offers a primer for those skills that will allow teachers to become independent evaluators of educational research. Anders, P., Hoffman, J., & Duffy, G. (2000). Teaching teachers to teach reading: Paradigm shifts, persistent problems, and challenges. In M. Kamil, P. Mosenthal, P.D. Pearson, & R. Barr (Eds.). Handbook of Reading Research, Vol.3 (pp. 721-744). Mahwah, NJ: Lawrence Erlbaum Associates. Darling-Hammond, L. (2000). Teacher quality and student achievement: A review of state policy evidence. Education Policy Analysis Archives, 8 (1). Using data from a 50-state survey of policies, state case study analyses, the 1993-94 Schools and Staffing Surveys (SASS), and the National Assessment of Educational Progress (NAEP), this study examines the ways in which teacher qualifications and other school inputs are related to student achievement across states. The findings of both the qualitative and quantitative analyses suggest that policy investments in the quality of teachers may be related to improvements in student performance. Quantitative analyses indicate that measures of teacher preparation and certification are by far the strongest correlates of student achievement in reading and mathematics, both before and after controlling for student poverty and language status. State policy surveys and case study data are used to evaluate policies that influence the overall level of teacher qualifications within and across states. This analysis suggests that policies adopted by states regarding teacher education, licensing, hiring, and professional development may make an important difference in the qualifications and capacities that teachers bring to their work. The implications for state efforts to enhance quality and equity in public education are discussed. Moats, L. C. (1999). Teaching reading is rocket science: What expert teachers of reading should know and be able to do. Washington, DC: American Federation of Teachers. 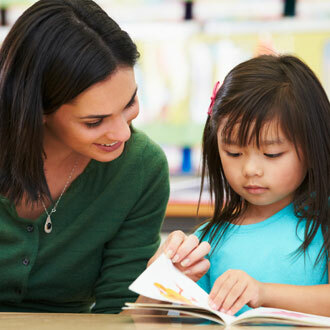 This foundational report reviews the reading research and describes the knowledge base that is essential for teacher candidates and practicing teachers to master if they are to be successful in teaching all children to read well. Developed by the American Federation of Teachers (AFT). Goodlad, J. (1997, February 5). Producing teachers who understand, believe, and care. Education Week, p. 48. The release in September  of "What Matters Most: Teaching for America's Future," the 151-page report of the National Commission on Teaching & America's Future, stimulated for too brief an interlude serious discussion of the country's prospects for preparing a teaching corps equal to the challenges that confront it. Because better teaching lies at the heart of all efforts to improve the schools, expanding such a discussion should be a top priority for all those engaged in reform efforts. 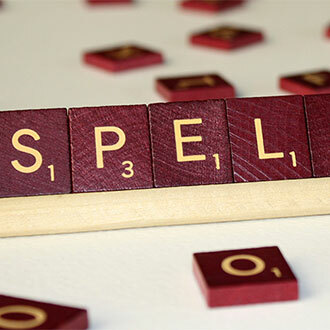 With that in mind, Education Week begins this week an occasional series of Commentaries dealing with issues of teacher quality and teacher preparation raised in the commission's report. This essay is the first of a two-part examination of current problems in teacher education by one of that field's leading scholars, John I. Goodlad. Barker, A.B., & Torgeson, J.K. (1995). An evaluation of computer-assisted instruction in phonological awareness with below average readers. Journal of Educational Computing Research, 13, 89-103. 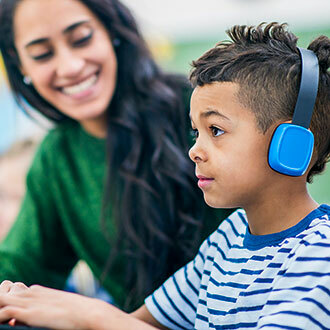 The use of computer-assisted instruction (CAI) to train phonological awareness skills in at-risk first graders was evaluated. Fifty-four children ranging in age from six years two months to seven years eight months participated in an eight-week training study. There were three experimental conditions. The first group received approximately twenty-five minutes a day, four days a week with two phonological awareness training programs. The second group received the same amount of training with a program designed to train alphabetic decoding skills. The third group served as an attentional control group and spent equal time on the computer with several programs designed to provide practice on basic math skills. The children exposed to the phonological awareness training programs made significantly greater improvements on several measures of phonological awareness and on a measure of word recognition, when compared to children in the other two groups. Tentative conclusions were drawn about the use of CAI as means of training phonological awareness skills with at-risk students. Ferguson, R. (1991). Paying for public education: New evidence on how and why money matters. Harvard Journal on Legislation, 28, 465-498. Adams, M.J. (1990). Beginning to read: Thinking and learning about print. Cambridge, MA: MIT Press. This book reconciles the debate that has divided theorists for decades over the "right" way to help children learn to read. Drawing on a rich array of research on the nature and development of reading proficiency, Adams shows educators that they need not remain trapped in the phonics versus teaching-for-meaning dilemma. She proposes that phonics can work together with the whole language approach to teaching reading and provides an integrated treatment of the knowledge and process involved in skillful reading, the issues surrounding their acquisition, and the implications for reading instruction. Lyon, G., Vaasen, M., & Toomey, F. (1989). Teachers' perceptions of their undergraduate and graduate preparation. Teacher Education and Special Education, 12, 164-169. This study assessed the extent to which teachers' perceptions of their relationships with young students varied as a function of child and teacher characteristics in a large, demographically diverse sample of 197 preschool and kindergarten teachers and 840 children. Children were evenly divided between boys and girls. Regression analyses were conducted to examine the relation between teachers' perceptions of their relationships with students and (a) teacher ethnicity, (b) child age, ethnicity, and gender, and (c) the ethnic match between teacher and child. Child age and ethnicity and teacher-child ethnic match were consistently related to teachers' perceptions, explaining up to 27% of the variance in perceptions of negative aspects of the teacher-child relationship, specifically teacher-child conflict. When child and teacher had the same ethnicity, teachers rated their relationships with children more positively. The results are discussed in terms of classroom social processes related to children's adjustment and the measurement of teacher-child relationships. Garet, M., Stephanie Cronen, Marian Eaton, Anja Kurki, Meredith Ludwig, Wehmah Jones, Kazuaki Uekawa, Audrey Falk, Howard Bloom, Fred Doolittle, Pei Zhu, and Laura Sztejnberg. The Impact of Two Professional Development Interventions on Early Reading Instruction and Achievement (NCEE 2008-4030). Washington, DC: National Center for Education Evaluation and Regional Assistance, Institute of Education Sciences, U.S. Department of Education. The report describes the effectiveness of two specific professional development strategies in improving the knowledge and practice of 2nd grade teachers in high-poverty schools and the reading achievement of their students. Both the 8-day content-focused institutes series (treatment A) and the institute series plus in-school coaching (treatment B) produced positive impacts on teachers' knowledge of scientifically based reading instruction and on one of the three instructional practices promoted by the professional development. However, neither intervention resulted in significantly higher student test scores at the end of the one-year implementation period. The institute series plus in-school coaching did not produce a significantly greater impact on teacher practice than the institute series alone. Whole-Class Novels vs. Choice Reading: Why Not Do Both?